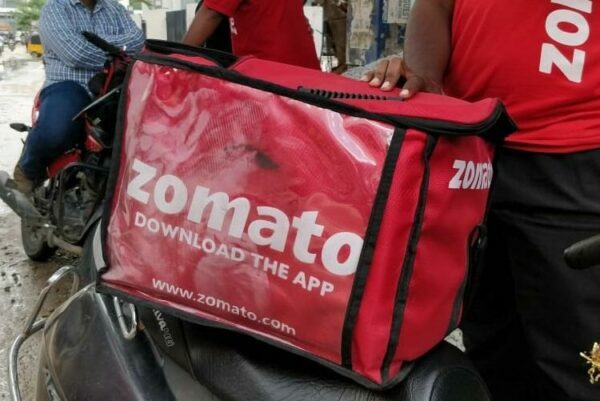 The Indian food industry is evolving at a fast pace, thanks to the apps like Zomato, Swiggy, etc. 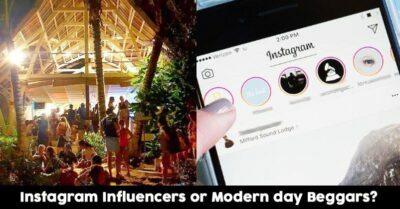 which are making it quite easy for the customers to order food online from their favorite restaurants and get them delivered at their doorstep. 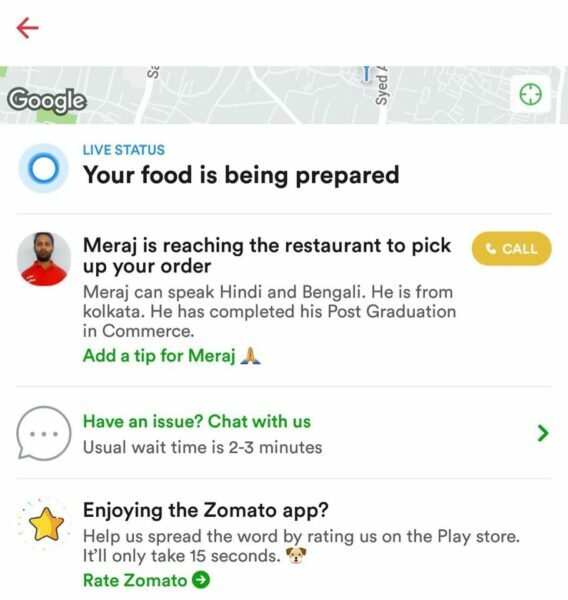 These apps are helpful for restaurant owners as well because they not only help in increasing their businesses but also eliminate the need to recruit delivery boys. 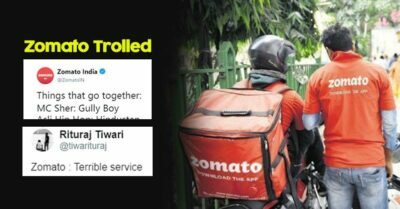 A number of people have got jobs too because of this new development but what will be your reaction if you find out that the person who is delivering food at your doorsteps is a highly qualified person? 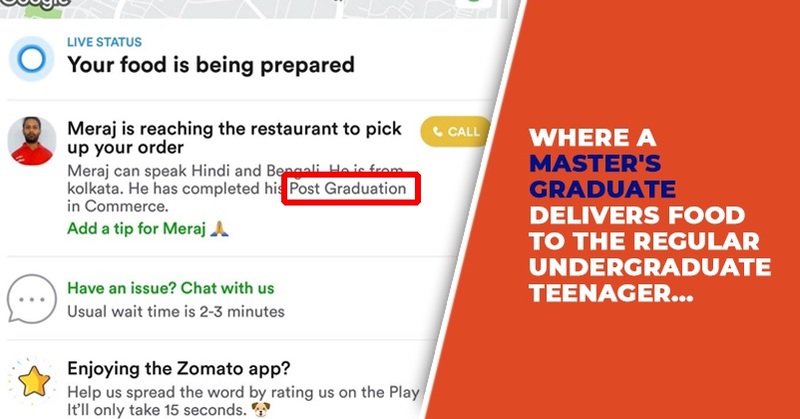 A teenager named Shouvik Dutta ordered food from Zomato and as he was going through the profile of the delivery boy Meraj, he found out that he is a post graduate in Commerce. 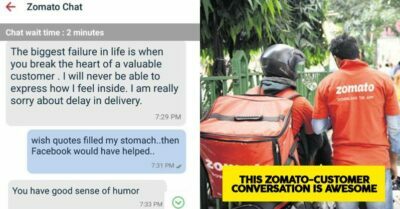 Shouvik who is a college student was quite taken aback by the fact that a highly qualified person is doing the job of a delivery boy in Zomato. He says that the most embarrassing moment of his life was when Meraj asked him to give good rating. They both had a quick chat and Shouvik got to know that Meraj has also done PGDM in Finance or Investment Banking other than being a post graduate from Calcutta University. Shouvik posted this incident on social media site Facebook and questioned the condition of jobs in India. It was one of those usual checkouts ordering food, when I was taken a back after I was updated the details of my delivery agent. This is indeed a bitter truth which is being tasted by the youths of India. We hope that the job conditions improve soon in India and people get jobs as per their qualification. What you have to say on this matter? Do let us know.